YouTube seems destined to be locked in a perpetual cycle of bad news. If a high profile YouTuber hasn’t found themselves embroiled in a contentious scandal, then the platform itself is under scrutiny for its concerning approach to content moderation and relationship with its creators. At the moment, we find ourselves dealing with the latter example, as the company’s recent announcements regarding its revamped Partner Program has created cause for concern amongst viewers and creators alike. If you’re unfamiliar with the business and technical side of YouTube, it can be difficult to wrap your head around everything going in, especially as jargon buzzwords like monetisation and AdSense are thrown around so often. Enter this explainer, which dissects the current issue piece-by-piece to give you an understanding of why the recent changes to YouTube are so significant, as well as predict what it all might mean for you, and your own relationship with the platform. Make no mistake, YouTube’s decision holds massive implications for the future of the site and how we engage with it, so swotting up on the details is hardly a fruitless exercise. You know all of those ads and commercials you regularly come across on YouTube, both in the sidebars and during the videos themselves? That’s how the site makes its money, but the platform relies on a diverse and stable community of content creators to make sure people keep coming back each day and generating revenue from those adverts, so how does it do this? YouTube Partner Program is the answer, allowing popular content creators to monetise their videos and share the revenue that YouTube gains from advertising on the their channel. Like the name suggests, it’s a partnership, in which YouTube provides the platform and its users create the content that together sustains an audience, leading to profit that is then shared between the two parties. As well as making money, Partners also have access to certain features that other creators are unable to utilise, such as deploying end screens and cards at the end of their videos that link to associated websites, crowdfunding, or merchandise sites. These cards and screens, as opposed to putting links in the description section of a video, drastically improves the chance of a viewer clicking through to them, thus allowing creators to strengthen and market their brand with more efficiency. What are the new criteria for joining the YouTube Partner Program? On January 16, 2018, YouTube announced new eligibility requirements for its Partner Program. Instead of 10,000 lifetime views, creators now needed to attain a total of 4,000 watch hours over 12 months and have at least 1,000 subscribers to be considered for the program. This is a significant scale up from what was previously expected, and any current partners who don’t meet that criteria will be removed from the program once the changes are implemented, though they will still have the ability to use end screens and cards at the conclusion of their videos. What effect will this have on creators? YouTube itself has stated that “though these changes will affect a significant number of channels, 99% of those affected were making less than $100 per year in the last year, with 90% earning less than $2.50 in the last month.” In other words, from its point of view, the effects are wide reaching but shallow in impact, since those being removed from the partnership program were barely making much money anyway. Most of the internet wasn’t persuaded by this line of reasoning, however. There’s no denying that a higher barrier for entry makes it harder for new and less established YouTubers to expand their reach, as they’ll now have to spend a longer period of time trying to develop their channel without YouTube’s direct support. Meanwhile, the biggest YouTubers out there will remain, by and large, unaffected by these changes, though YouTube has also stated that it will be looking into new ways of managing Google Preferred channels (more on that in a moment). A drop in YouTube Partners also allows the bigger YouTubers who meet the new criteria to receive more revenue, as the inventory will now be shared between fewer channels, thus centralising the income further towards the ‘haves’ (successful creators) at the expense of the ‘have nots’ (those trying to become successful creators). All in all, the takeaway from these announced changes so far is that YouTube is going to continue to become a less viable form of income for the smaller and mid-tier creators, all while maintaining favouritism towards the big players at the top. For a company that has often found itself in sticky waters for the way its conducted business with its creators, this isn’t a good look, and you can understand why many are worried by the news. And what does Google have to do with all of this? 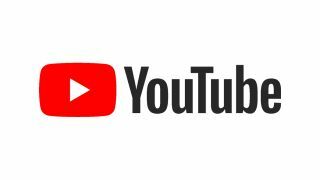 In addition to the YouTube Partner Program updates, YouTube has announced it will be "manually reviewing" all Google Preferred channels over the next few months. Google Preferred is yet another program which allows high-ranking YouTubers to make more money off of their advertising, as Google itself will charge more for the ads placed on their channels. You know how advertisers pay heaps of money to get a commercial on air during the Super Bowl break every year? Think of Google Preferred as the YouTube equivalent. The more popular a YouTuber is, the more people are willing to pay Google to get their product marketed on a channel with so much internet traffic. However, this partnership between Google and creators has always been at the discretion of YouTube, which is able to review whether a YouTuber is deserving of Google Preferred ads. Recently, for example, it pulled the Google Preferred plug from Logan Paul’s channel, after the creator uploaded a now infamous video showing a suicide victim in Japan’s Aokigahara forest. YouTube’s announcement to manually review Google Preferred channels is no doubt a response to that scandal, but it remains to be seen whether this will initiate genuine reform into the moderation process. The skeptical position is that YouTube is a business first and foremost, and its history with moderation suggests that it’s unlikely to outright penalise its most popular YouTubers when they’re making a sizeable profit for the platform. On the other hand, Google has just hired 10,000 new people to manually, visually verify the imagery and content that’s being uploaded onto YouTube every day, which - at the very least - should prevent another incident as horrific as the Logan Paul case from happening again. Finally, what does this mean for you? As making a viable career out of YouTube becomes harder and harder for those who don’t qualify for a YouTube partnership, it’s likely that Patreon, sponsorships, and other avenues of income (merchandise, Twitch donations) are going to fill in the financial gaps, and you’ll probably find your favourite creators encouraging you to support them in this way with more frequency as time goes on. This will hold especially true for certain types of creators like animators or musicians, who put a lot more time into their videos than most but are not necessarily reaping the rewards in terms of viewer and subscriber numbers. For gaming focused channels, too, these changes could merely accelerate a process that was already underway, as creators like Danny O’Dwyer or Jim Sterling avoid the advertising game altogether in favour of Patreon. Similarly, Twitch streaming continues to rise as a workable funding source for both the smaller channels as well as bigger YouTubers such as Boogie2988. These less restrictive platforms allow gaming channels to continue to do what they’re doing without being tied to the advertising machine, instead supported directly by their audience. Long story short, you may no longer have to watch an ad every time you enjoy a new video from your favourite gaming channel, but you might have to throw a few bucks their way or stomach more sponsored content whenever you can. Finally, some have suggested that YouTube’s push for greater moderation will result in a more santised, commercialised platform, where smaller, niche channels are discouraged, and the larger Google Preferred channels are less willing to take creative risks due to their increased accountability to advertising. At this point, though, it’s hard to say whether this prediction holds much cache, much less what kind of implications it holds for YouTube’s gaming content, which for now remains its largest and most popular genre of entertainment.